I hope you all had a wonderful week! 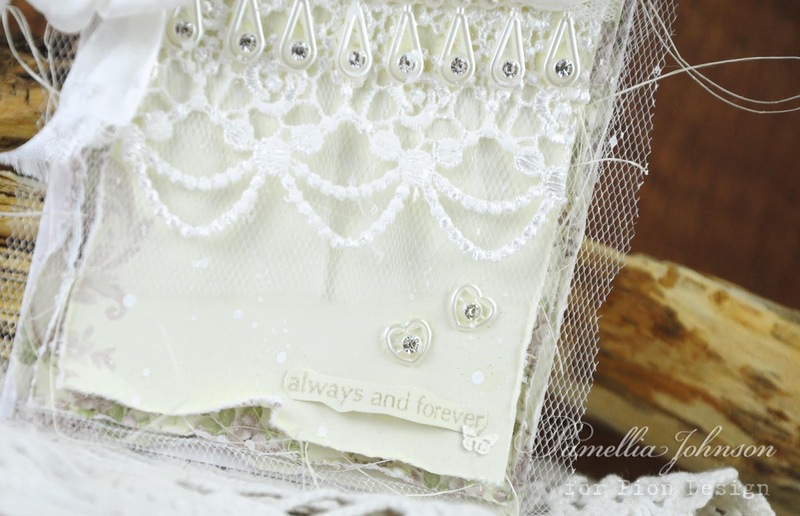 Today I am sharing a romantic card for a wedding or anniversary featuring some gorgeous papers from Pion Design and some beautiful laces and embellishments from the Crafteezee Shop. 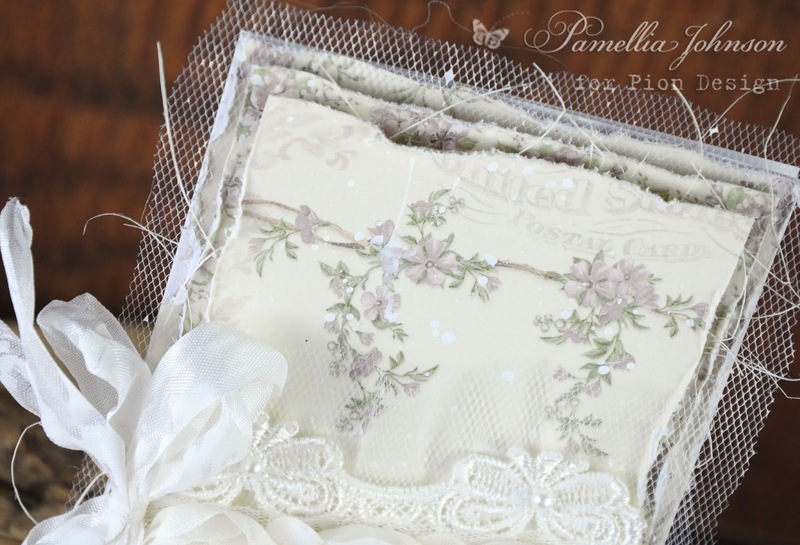 Adorable and very delicate, Pamellia! Your cards are always so feminine and have an amazing sweet feel! 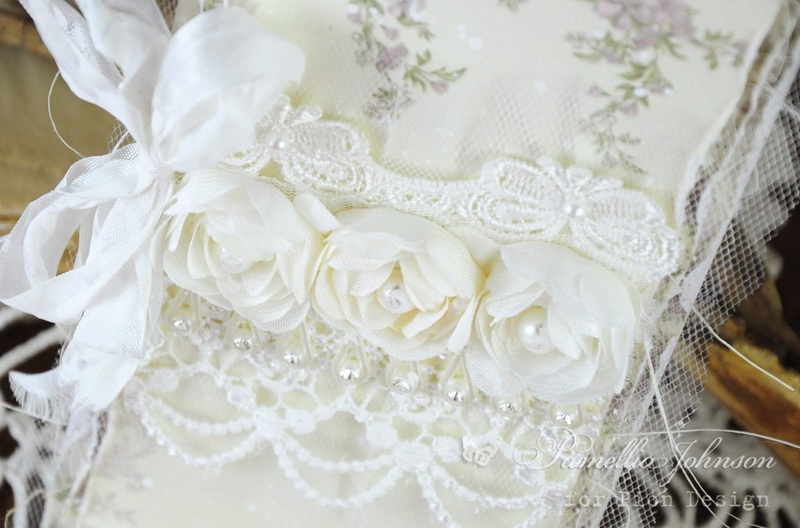 The embellishments are gorgeous and especially love how the bow matches the roses and the "drops" of gems! I miss your shots of wild animals :) but surely you miss the cute friends more than me. You have done a fabulous work as squirrels' Mum, be proud of yourself! Gorgeous cards Pamellia. they will be keepsake cards for the folk who receive them. 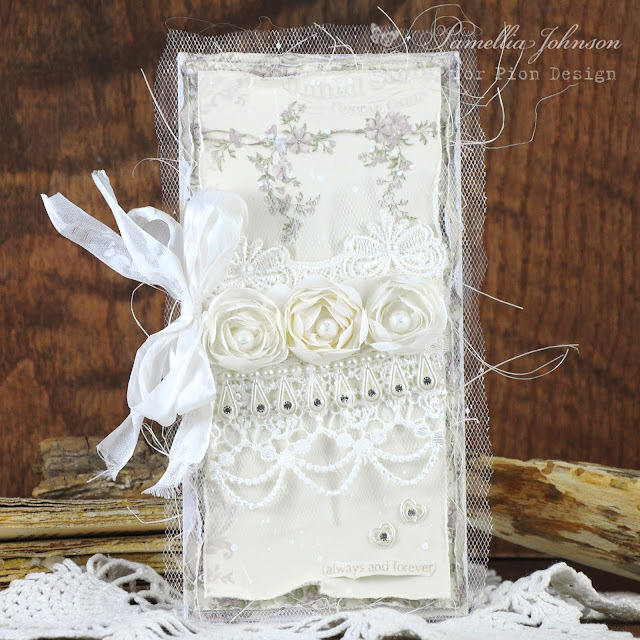 This wedding card is gorgeous. I really needed an idea on what kinda card should I give my best friend on her wedding as it is going to happen this week. You have really saved me from trouble by providing this card here.. I really appreciate your effort. This will become a treasured heirloom I'm sure, it is so VERY beautiful. Oh wow, this is just so fabulous and a real classic and something to be treasured forever. 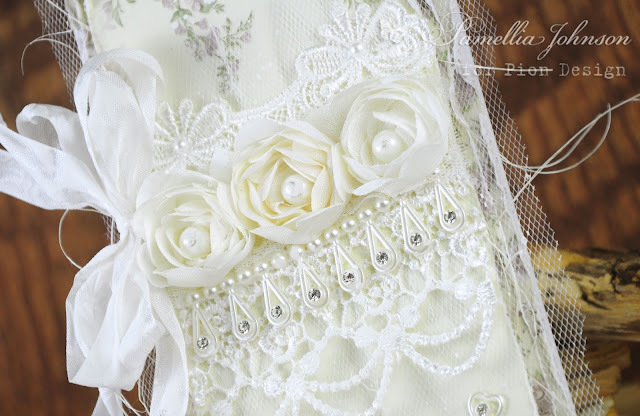 Stunning embellishments and beautifully designed. These invitations look simplistic yet elegant. Nice for people who love simplicity, like me. Very beautiful, Pamellia! 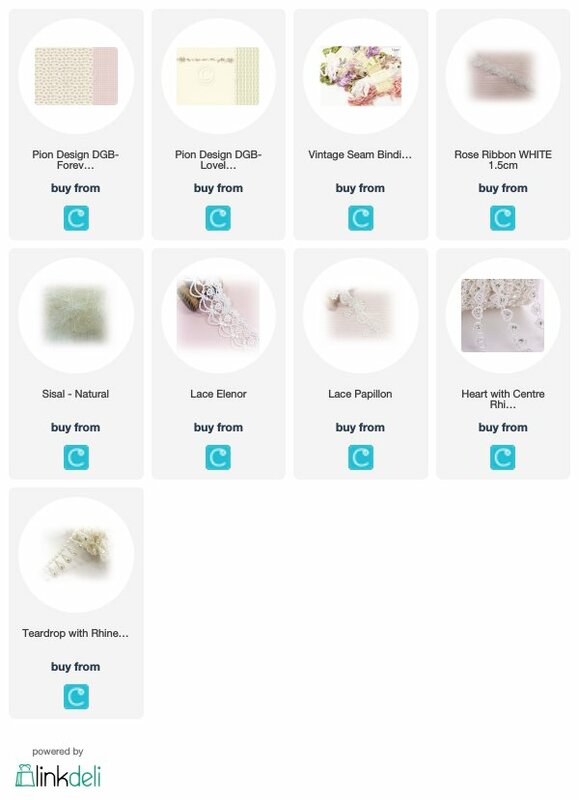 Those trims add so much elegance to your wedding/anniversary card. Hugs! Your design of wedding invitation completely romantic & flower on it enhance the beauty of card.